google-site-verification: google0080780002a0d302.html SIELE (ingles) ⋆ Academia de inglés Bla Bla Company Granada. SIELE offers you up to 5 types of exams adapted to your Certification needs. Choose yours and get your Spanish Certificate validity for 5 years! The most comprehensive online exam for certifying your Spanish proficiency. 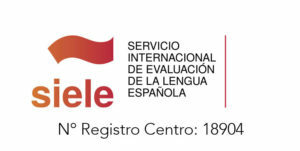 It is a single multilevel exam that allows you to obtain the SIELE certificate, a document that includes a score from 0 to 1000, the result of the sum of your scores from each of the four tests, and associated with the levels of the Common European Framework of Reference for Languages (CEFR). Certified by Instituto Cervantes. Recognised by lots of international universities. INDEPENDENT MODALITIES: These are 4 other exam modalities based on a combination of the various tests. Any of these four independent modalities enable you to obtain the SIELE Report and your obtained scores can be associate with the CEFR levels. It proves your reading and listening comprehension in Spanish through a single test that lasts for 2 hours. This test proves your reading and writing level in Spanish. It takes about 2 hours. The quickest way to prove your speking level in Spanish. It takes only 15 minutes. In Bla Bla Company you will find the training you need to get your certificate with enjoyable classes and a lot of activities.